Home health care is a medical service provided in your home by nurses, therapists (physical, speech, or occupational) and home health aides. Why are these services available? To keep down ever-increasing medical costs. Home health care is considerably less costly than going elsewhere. Care provided in the home has proven to reduce emergency room visits and hospital stays. Medicare pays for 100% of qualified costs. What are some of the conditions which may qualify me for services? We cover a 30 mile radius from Sherman in North Texas. 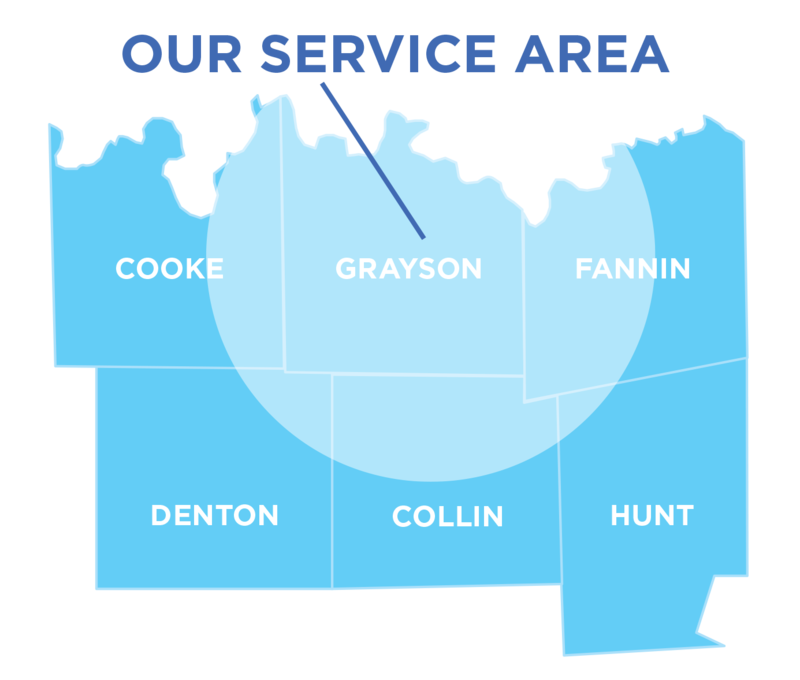 Contact us today to see if we service your specific location. Yes. We are licensed in Texas. Yes. we have professional and general liability insurance. Our employees are covered by Employee Occupational Injury insurance.